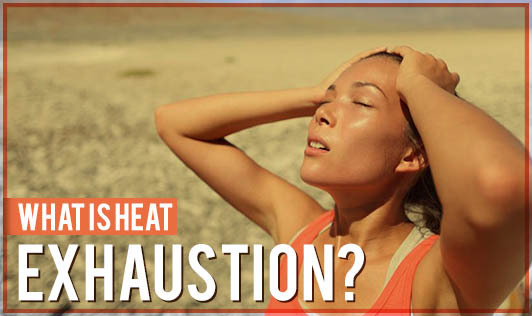 Heat exhaustion is a heat related illness that can occur after you have been exposed to high temperatures for several days and have become dehydrated. A person experiences fatigue as a result of a decrease in blood pressure and blood volume. It is caused by a loss of body fluids and salts after being exposed to heat for a long period of time. Heat exhaustion isn't as serious as a heat stroke, but it isn't something to be taken very lightly because without proper intervention, heat exhaustion can progress to a heat stroke which can damage the brain and other vital organs and sometimes even cause death. Anyone can develop heat exhaustion but children under two years of age, elderly people, and people with kidney, heart or circulation problems as well as people with diabetes who use insulin are at an increased risk of developing heat exhaustion. If your signs or symptoms worsen and don't improve within an hour, contact your doctor immediately!